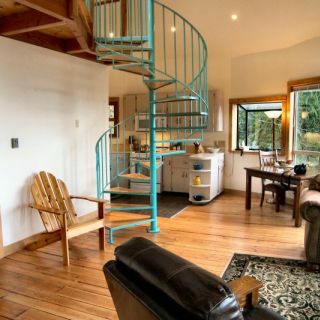 If you’ve always dreamed of living in a log cabin, you’ll be happy to know that the contemporary upgrade has all mod-cons and much more space for you to spread out. 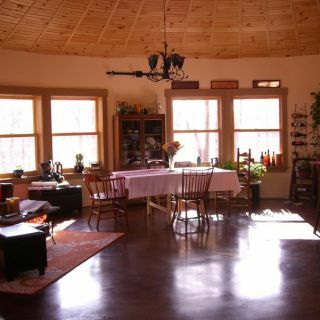 Yes, these days you can have it all, thanks to cleverly designed yurts. 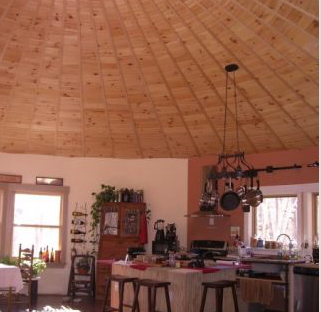 Well, the yurt has now gone global, and more than a tad upscale as it traveled the world. 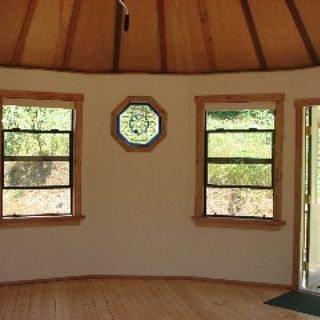 There were plenty of challenges in taking the traditional cloth- or canvas-covered yurt and making it more permanent and practical for today’s homeowner. Smiling Wood Yurts started by figuring out how to build the yurt with real windows that you could open and walls that would hold cabinets. 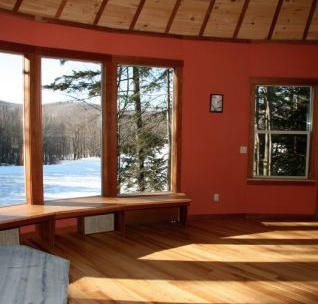 Another biggie: insulation, to make the home energy-efficient and keep heating bills down, as well as ensuring the comfort of the yurt’s residents. “Our greatest and most rewarding challenge was having the roof engineered to meet almost anything Mother Nature can send its way,” say the construction experts. 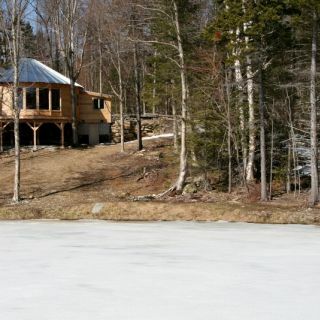 Their solution is an environmentally friendly metal roof that is very durable and insulated. 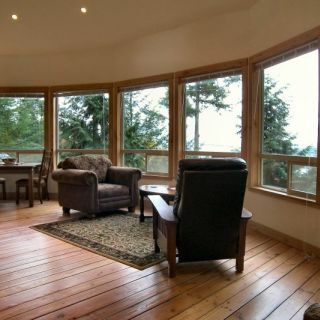 You can also order a roof kit to keep your construction costs down. 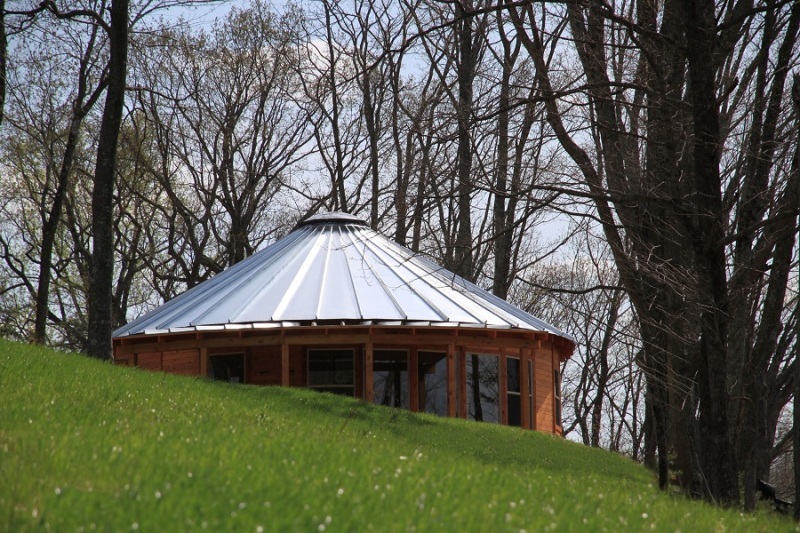 Smiling Wood Yurts respects the environment by choosing to use environmentally responsible materials, but craftsmanship, beauty and comfort are priorities, too. 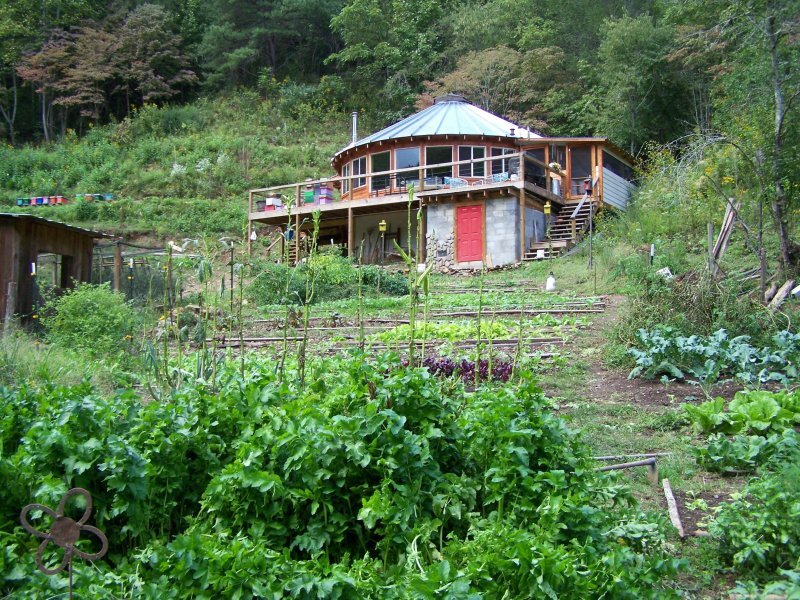 Interested in yurting? (And no, we don’t think that’s a real word, though it probably should be.) 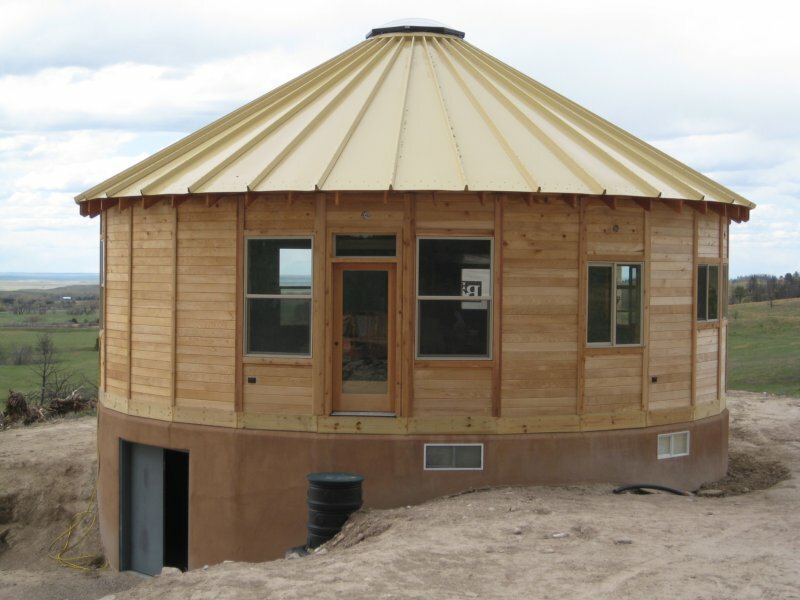 If living in the round has you intrigued, check out the complete kits and figure out how big you’d like your yurt to be. The basic kits include wall panels with doors and windows already in place, sided in tongue and-groove western red cedar. The company sources the highest-quality construction-grade lumber it can, and it is all SFI-certified Sustainable Forestry Initiative certified. 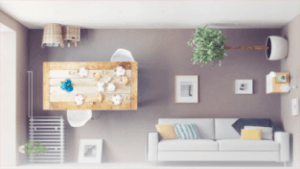 Nontoxic finishes and adhesives offer another green bonus, and the plywood sheathing has no formaldehyde in its glue, says the company. 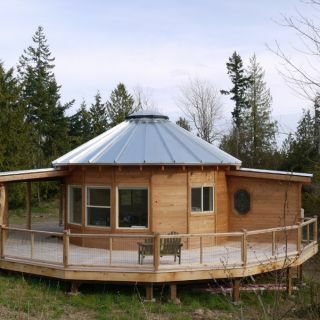 You can add on a roof kit if you like, which comes with structural-grade Douglas fir rafters and inland red fir eaves and the 24-gauge galvanized-steel roof, topped by a skylight. As for plumbing, electrical supply, and insulation, you’re on your own. And you’ll need to obtain site-specific engineered plans to file for a building permit in most places. 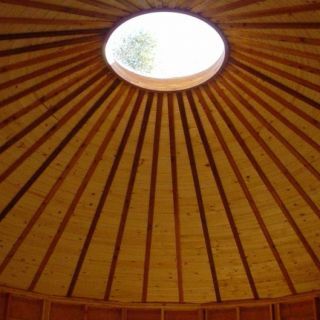 Smiling Wood Yurts does offer technical help for your project, in case all of this sounds too overwhelming. 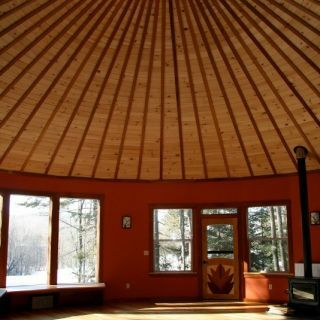 As far as customizing your yurt, the sky’s the limit (and we don’t just mean going higher with a loft). 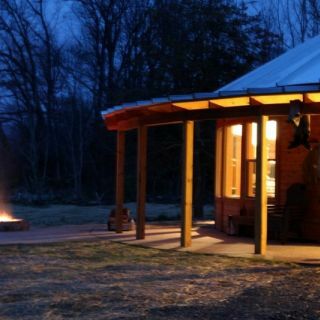 “Folks are adding on decks, porches, room additions and even hooking them together in tandem with a breezeway,” say the Yurts team. Sounds like a challenge to us…. Time to get yurting!